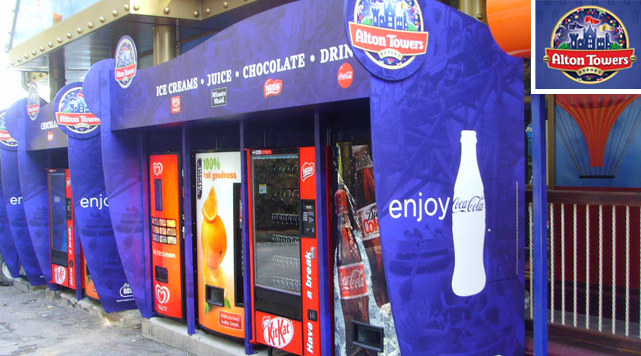 To design, produce and install impactful vending housing for multiple vending machines at Chessington World of Adventures, Alton Towers and Thorpe Park. 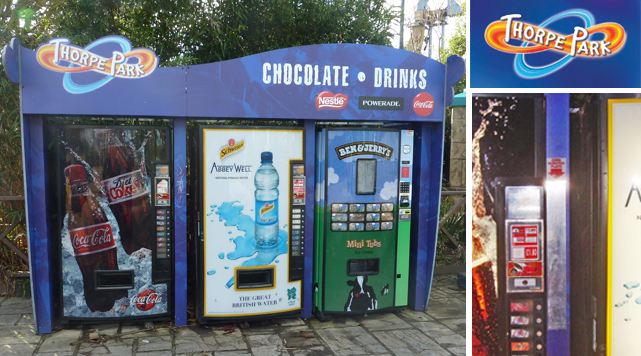 We wanted each unit to highlight the range of products available through strong branding whilst also maintaining the look and feel of each of the parks’ identities. 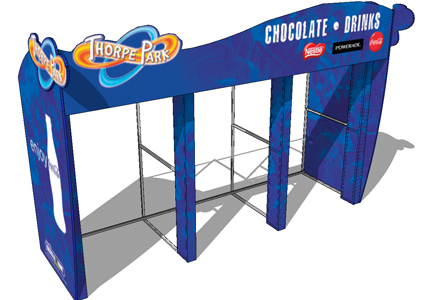 It was important to increase the branding area without affecting the existing footprint, so we designed and produced a curved shape for maximum impact. 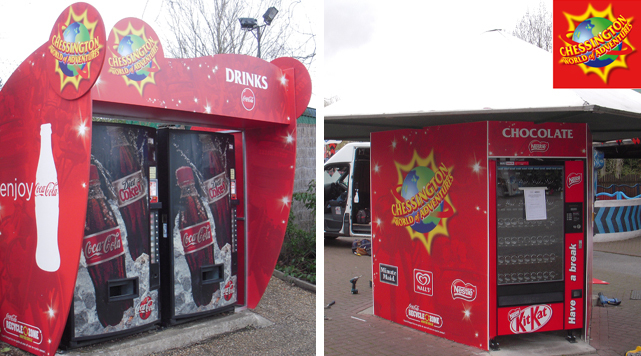 This shape also provides shelter from rain – yet another incentive to approach the unit. This project required a tight turn around, so excellent project management was vital. We now provide adhoc enhancements to the units to make sure each one is kept up-to-date and looking good. After installing the units, it became apparent that people were rubbing their coins on the housing units in order to make them work better. This meant the designs were being worn off. So we came up with a ‘rub pad’ on each machine with a sign saying ‘Rub your coins here’. Problem solved.